Glucose if a vital fuel for the human body and can be absorbed directly into the blood stream. Glucose is one of the sugars found in table sugar but tastes less sweet than table sugar. 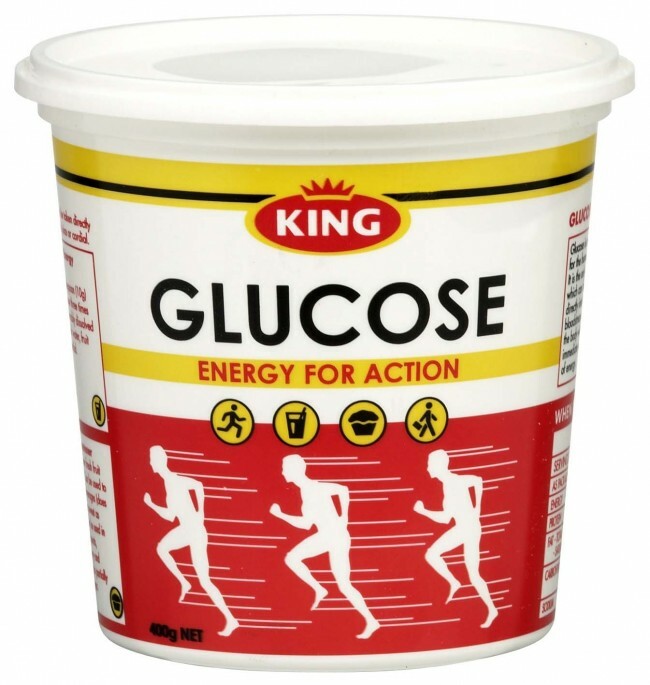 •	King Glucose is made from maize starch and is 100% glucose. •	Glucose is also known as dextrose. •	King Glucose can be taken directly but is best dissolved in a glass of water, fruit juice or cordial. •	King Glucose can be sprinkled over fresh fruit or cereal or used in baking deserts, confectionary or preserves.